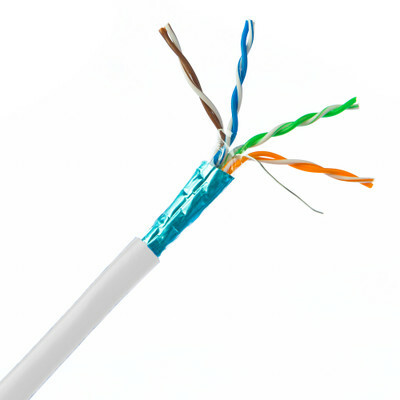 This particular cable is a white STP (Shielded Twisted Pair) solid cable. 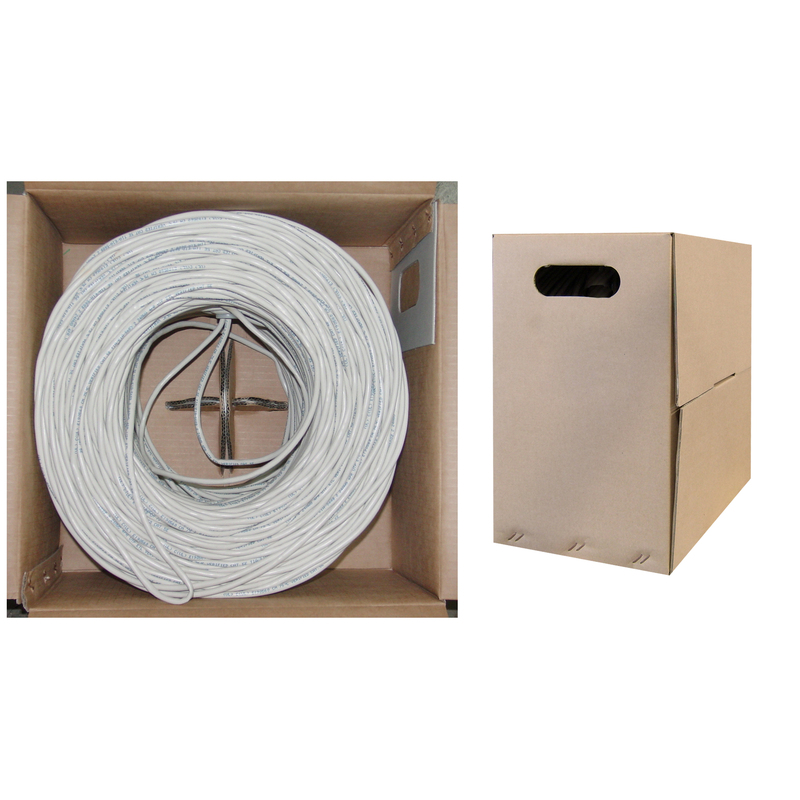 The individual conductors are 24AWG (American wire gauge) solid pure copper for permanent installations. Pure copper conductors provide the best signal possible. Our Cat5e Ethernet cable exceeds the EIA/TIA-568-C standard. Exactly as advertised and it got the job done!